Looking for a low-cost, high-impact way to market your business or promote your organisation? How about walking billboards? T-shirts, that is. On the backs of your organisation’s fans, T-shirts can spread the word about your brand without you having to spend an extra penny on adverts. With an eye-catching logo and a unique slogan, your company’s T-shirts create brand awareness wherever they go. T-Shirts start conversations. Remember Nike’s iconic swoosh, with its “Just Do It” slogan? With the right design and logo, your company’s T-Shirts, too, can create a buzz about your product. When you give these T-Shirts away with a purchase, they create good will in the recipient, who will tell their friends about your generosity, as well as your fine products and services. For a company with a casual culture, a promotional tee shirt conveys the relaxed vibe that attracts like-minded people. Promotional tees dovetail perfectly with companies who manufacture soft drinks, beer, and sporting equipment, as well as techie companies. They’re the ideal way to declare one’s affiliation with a favourite sports club, youth organisation, or school. 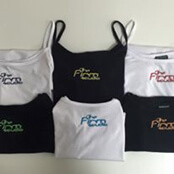 T-Shirts provide companies who want to start their own casual clothing line with a canvas for their own designs. Choose colours that complement the designs and you have a line of clothing that will pair well with jeans, shorts, and beachwear. If your company’s culture leans to the relaxed side, think about using T-Shirts that feature the company logo as the company’s official uniform. Make every day Casual Friday and watch the smiles appear on your employees’ faces. Happy employees, of course, attract happy customers—which is what your business needs to thrive. 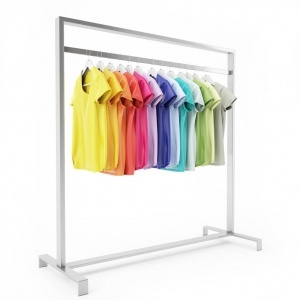 Quality tees promote quality goods – not just any tee shirt will do to promote your company or organisation. Only the best quality designs will do. For an even more high-end touch, consider embroidered logos. Since it goes all the way through the shirt, embroidery lasts longer and looks better than regular silk-screened designs. It’s also available in a rainbow of rich colours to provide more visual interest and texture. With prices that start as low as $13.00, you’ll want to order our tees for promotions, giveaways, and even as gifts for customers, family, and friends. Embroidery starts at a low $5.00 per position, with no minimum order amount on custom-embroidered tees. For more information about Jubilee’s selection of fine-quality T-Shirts, or to place an order, contact us. Browse the suppliers below for a great range of t-shirts.